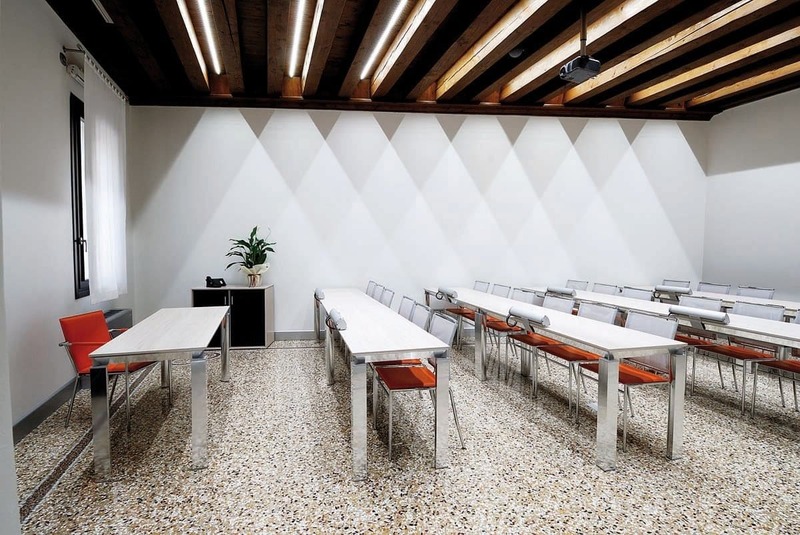 Pordenone Unindustria head office has been furnished with Martex products. 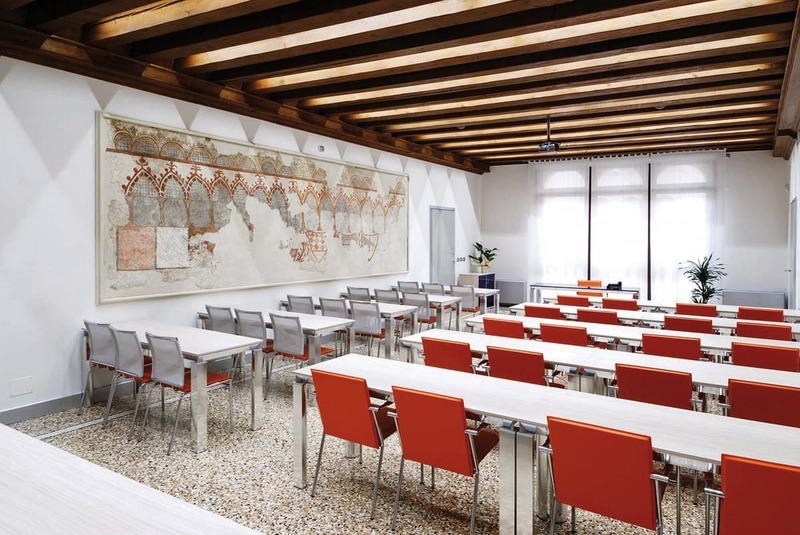 Once again Martex created an office environment firstly considering the customer’s needs. The executive office was made using the Kyo presidential collection which, thanks to its thickness and to the finish used, creates a very elegant atmosphere. 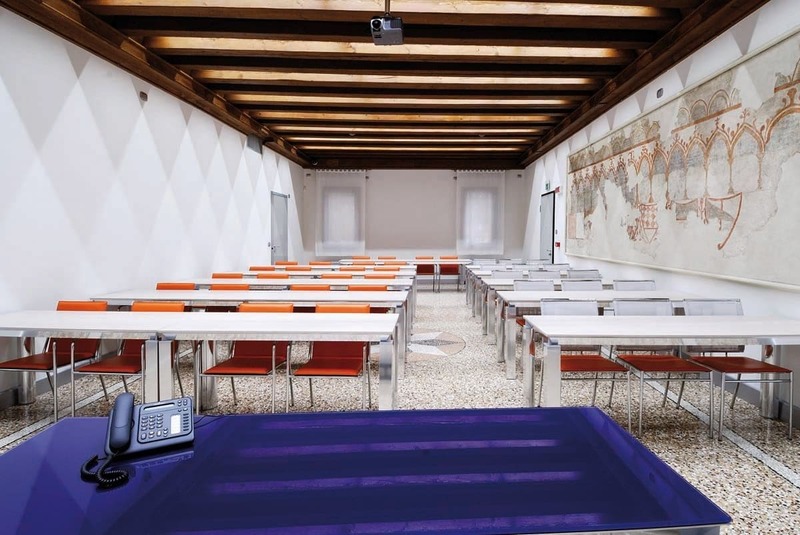 Meeting rooms and training rooms were furnished with Han, in the operative version. The solution used for desk electrification is functional and practical. Desks finish: Rovere Sbiancato, aluminum and blue lacquered glass.